In Gary Brockwell's debut novel Eddie Dungiven, children's entertainer and close hand magician, is bored with his life and of his wife Sally's preoccupation with cleaning and taking part in flawed `get rich quick' schemes. His only respite from this marital entrapment comes in the form of regular forays to a secluded beach with his Collie-Spaniel cross, Henry. That is until one day when a chance encounter with a beautiful stranger named Cerys Sindon changes everything. As Sally's behaviour becomes increasingly erratic and causes her relationship with her husband to deteriorate, Eddie prepares to embark on the ultimate betrayal with the captivating Cerys. But the sudden death of his father figure and the sentiments of his good friend focus Eddie's attention on a revaluation of what is central to his life and what will make him happy. In his desperate search for answers, Eddie is drawn into the world of the medium Ignatius McKenzie and the personal revelations he presents, which have far reaching implications for both Eddie and Cerys, and a dark secret that she conceals. 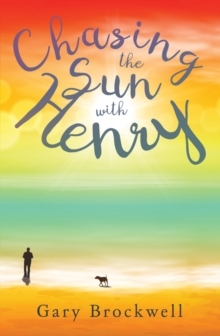 Inspired by the work of John Irving and Colin Bateman, Chasing the Sun with Henry explores the effect of tragedy and change on a relationship. Gary's thought-provoking novel will appeal to readers that enjoy contemporary fiction, especially those that are interested in relationships and the various guises of love.